Through an Office of Minority Health Grant at the University of Cincinnati (UC) College of Nursing, students from Hughes STEM and Winton Woods high schools were able to attend the second annual Southern Ohio Scholars Day, hosted by Health Professions Affinity Community (HPAC). 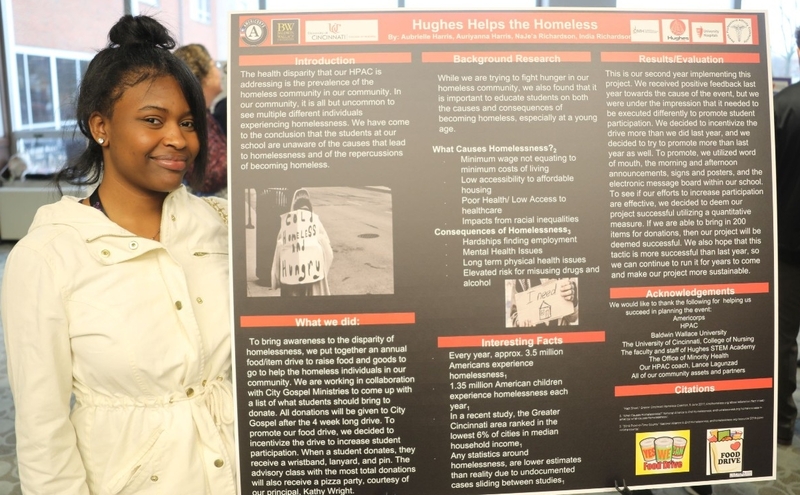 The Saturday, March 30, event brought together student groups from throughout the region to discuss their projects and the health disparity they chose to address and recognizes their scholarship, research and community engagement. 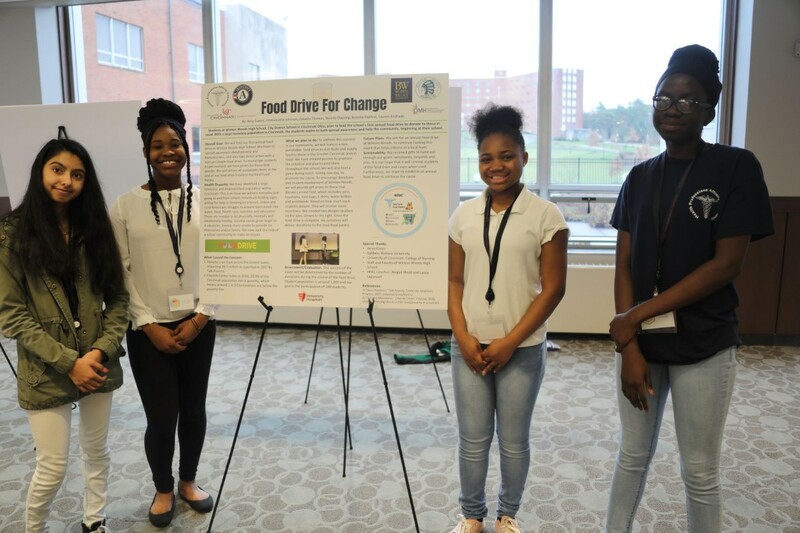 Their HPAC project supplies and transportation to Scholars Day was funded through the College of Nursing Dean Greer Glazer’s “Pathways for Emerging Health Care Leaders” Office of Minority Health grant. The HPAC program engages more than 2,000 youth across 35 counties in Ohio by empowering them to identify health concerns and create community health programs that address those concerns. Through this work, the students become a community champion for health as they move into health professions education pathways. The program currently serves over 2,000 youth in Ohio who, in turn, serve over 15,000 Ohioans through their health improvement projects. Southern Ohio Scholars Day was held at the University of Dayton Kennedy Center in conjunction with the Miami Valley Hospital Healthcare Symposium, and is made possible through the collaborative efforts, local community foundation support and grant funded support of Baldwin Wallace University, University of Dayton, Wright State University Boonshoft School of Medicine, Dayton Children’s Hospital and the UC College of Nursing.